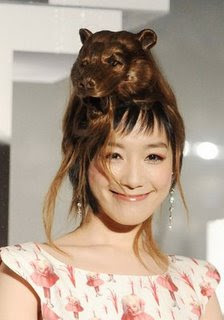 OK, the stylist in this case obviously has some artistic talent. But as the old folks say, "Just because you can, doesn't mean you should." That picture scared the crap out of me...LOL!